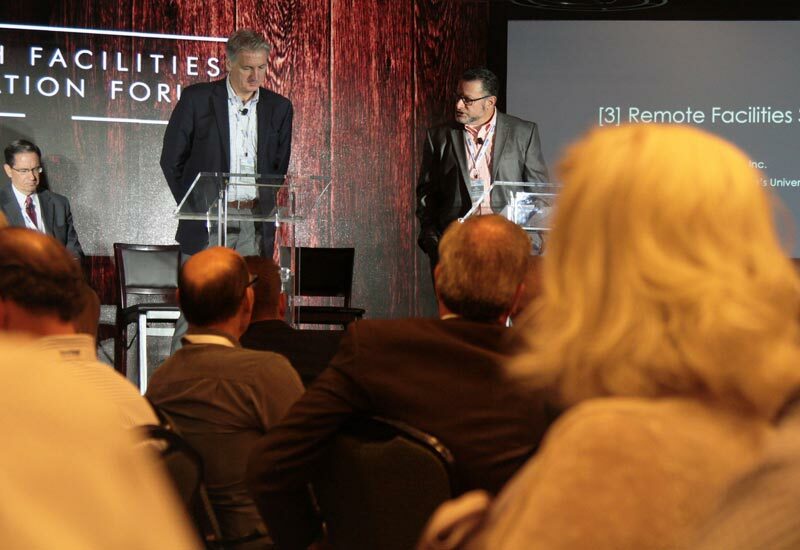 Despite the differing perspectives, one fact was agreed upon: new business models need to emerge to thrive in this time of disruption. 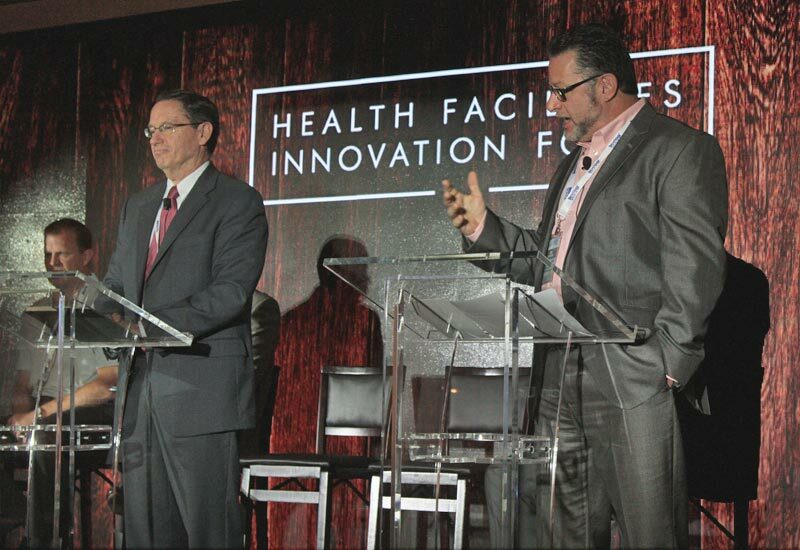 With the Health Facilities Innovation Forum overlapping with Election Day, we decided to host a debate on a timely issue: the future of healthcare and the implications for facilities leaders. 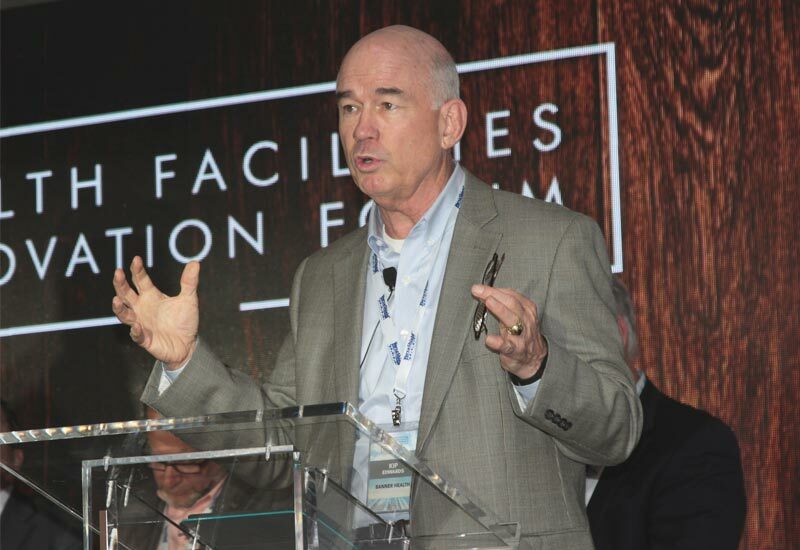 Jordan Cram, CEO of Enstoa, moderated the debate which featured facilities leaders with diverse backgrounds (academic, nonprofit and for-profit). Debaters included: Frank Aucremanne, Executive Director for Real Estate, Planning, Design, Construction & Facility Operations at the Cleveland Clinic; Kip Edwards, VP Development & Construction at Banner Health; Lee Levicoff, Network Director of Planning & Construction at St. Luke’s University Network; Brian Holmes, SVP Real Estate Development & Deployment at Texas Health Resources, and Mark D’Arcy, VP Design & Construction at UHS, Inc.
How does the role of facilities leaders at the strategy table create value? Edwards and Holmes discussed how their participation in strategy benefits Banner Health and Texas Health Resources--and there wasn’t much debate, as both agreed on the importance. Kip claimed it’s crucial to provide input on site conditions and educate the group on existing assets, so there’s a voice for preserving and investing in them. 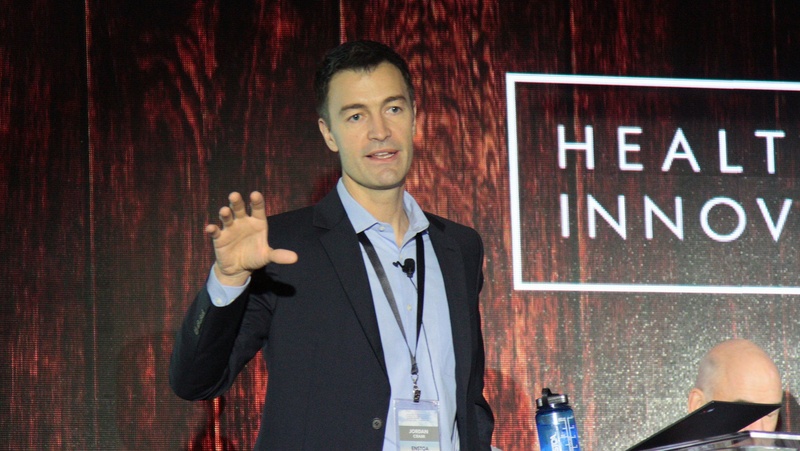 Holmes claimed that with pressure on healthcare to take more financial responsibility, facilities and strategy must work together to provide more value to patients. “The traditional fee-for-service model puts all the financial risk on a patient’s insurance company, and we must get strategic about making sure patients have good outcomes, informing them about their health and treating their families well." The implications for facilities are tremendous, Holmes says. “It’s a real big change because we’re not trying to attract people to our hospitals. We asked two facilities leaders in opposite situations how they strategically handle off-campus acquisitions: Whereas Aucremanne needs to acquire practices for Cleveland Clinic, Levicoff for St. Luke’s University Network needs to place doctors in clinical care locations. Aucremanne points out the importance of providing better access for patients--but says acquisitions are now far more complex with doctors protecting their negotiating position and legal, finance, planning, design, construction, branding, and more to consider. “We can no longer approach business as we used to be. We need a new approach for integrated teams, we must be at the strategy table to prevent messy deals that we’re left cleaning up for years. 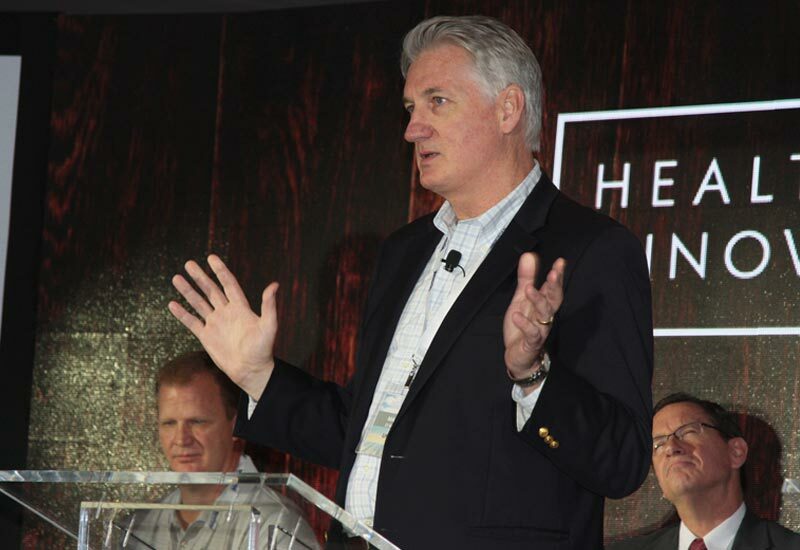 The shift from deliberate new building construction to practice acquisition off-site, the pendulum has swung and the pace is picking up because folks are trying to move so fast that it introduces a tremendous risk to our side of the business,” he said. On the other side, Levicoff outlines his strategy for St. Luke’s most recent project, a new hospital that had almost 200 doctors before breaking ground. “Our process is to look for the land in an incognito way, we hire a real estate agent so we can buy it quietly or the price would triple if they knew who we were. Then we build it, and once the sign is up we have more docs trying to come in. Everyone wants the new, they look for the new, so we have to look for land and we have to build,” he said. Insourcing, outsourcing or a mix of both: how do you make the best decision when dealing with remote facilities? D’Arcy explains how insourcing technicians to remote facilities works for UHS Inc.; and although St. Luke’s University Network also insources, we asked Levicoff to propose a case for outsourcing. 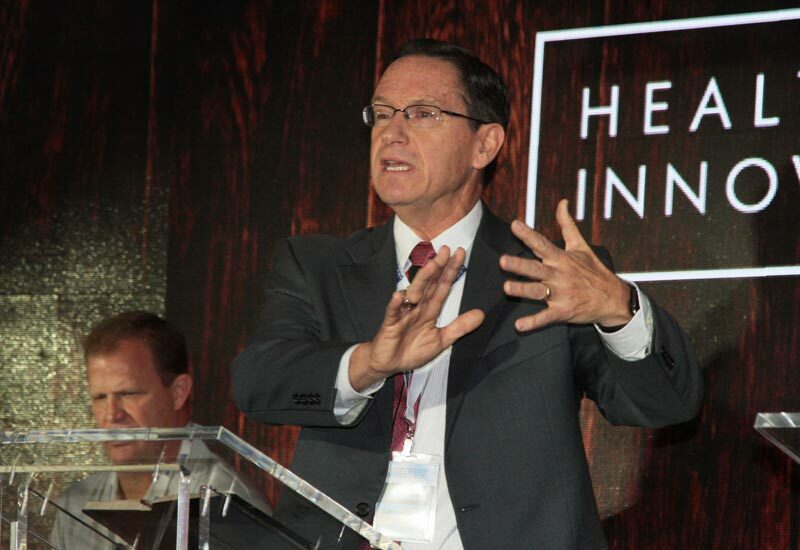 “In this world of competitive healthcare you have to be there for your customer. We’re in a space of telemedicine and people now get on their computers to talk to their doctors. From Levicoff’s POV, outsourcing gives back to the local community and makes for a successful integration. “If you’re 100 miles away from the mothership, the best way to sell it is to tell everyone that we’re not just adding a couple jobs in the neighborhood, but we’re truly bringing your people in. Finding local contractors involves the community to add participation, take pride in the project, build trust and not look at us like foreigners. They know who we are and where we’re coming from, but they feel like it’s THEIR St. Luke’s. 2016 was the year of “merger mania,” according to a recent PwC report. Significant industry disruption is underway as the system strives to better serve increasingly savvy customers at lower costs. Edwards and Holmes reported on how Banner Health and Texas Health Resources balance the strategy and execution of these moving parts. Banner Health, which has a lot of M&A going on from practices to entire medical centers, just acquired 35 Urgent Care locations. “The biggest challenge is culture, and systems and processes, and bringing them in as rapidly as possible so they can be effective. 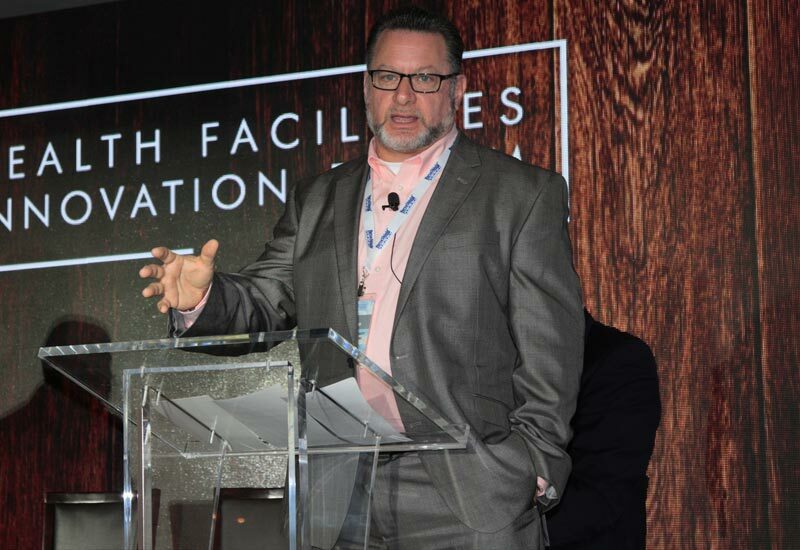 For facilities specifically, the biggest challenge is deferred maintenance,” Edwards said. Many big facilities are merging because they’re capital-starved, which means they’re not making the investments they should. The consequence on facilities? Expect a certain number of fire drills--fix those immediate needs, and then make a long-term plan focused on energy and building performance, which are investments that return. Holmes remains adamant about letting the owner develop the project. “My concern is about putting my team in a position where they can’t win. The hardest part is managing the owner. Everyone makes mistakes, but it takes the owner to really screw a project up, so whoever’s running it- whether it’s us or the partner- should be the one developing it. More likely than not, you don’t need an explanation for this challenge. 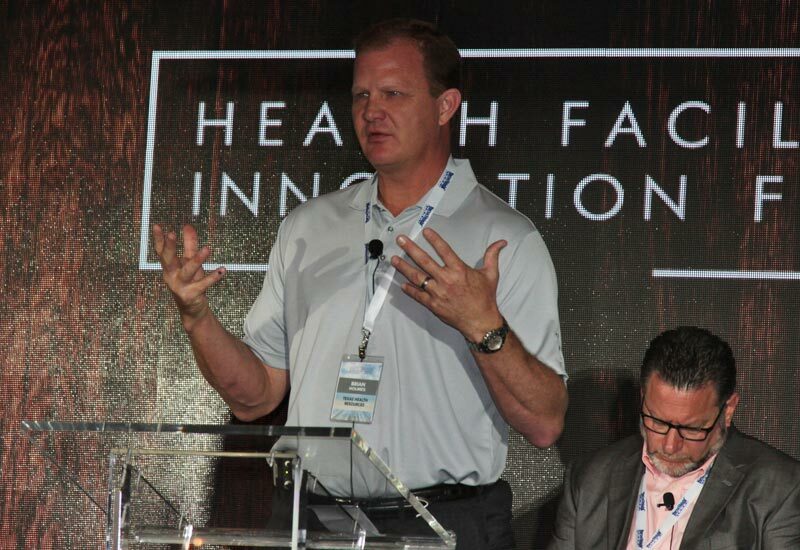 D’Arcy and Aucremanne shared insights on the perpetual stressor of doing more faster with scarce capital at UHS Inc. and Cleveland Clinic. Two, We will start designing around the total cost instead of the first cost. The first cost is 5%, the total cost is 95%, which is what we must start designing around. UHS leans the process (how many steps does it take to get the patient from here to here, etc) and then we design around it. We started an incentive in Las Vegas hospital tied around health acquired infections. Aucremanne echoed the pressure to reduce cost, citing a recent conversation with Cleveland Clinic’s CFO to reduce initial costs of buildings. Watch the video of the full debate below. Enjoy!